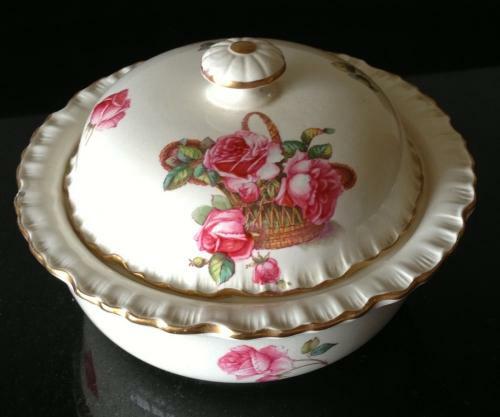 Very pretty Spode soap dish with floral design and gold detailing. Original lid and drainer. Very good condition. Registered date mark 1905.